Sometimes called "Sleep Dentistry", Oral Conscious Sedation is a great way to decrease anxiety during dental appointments. 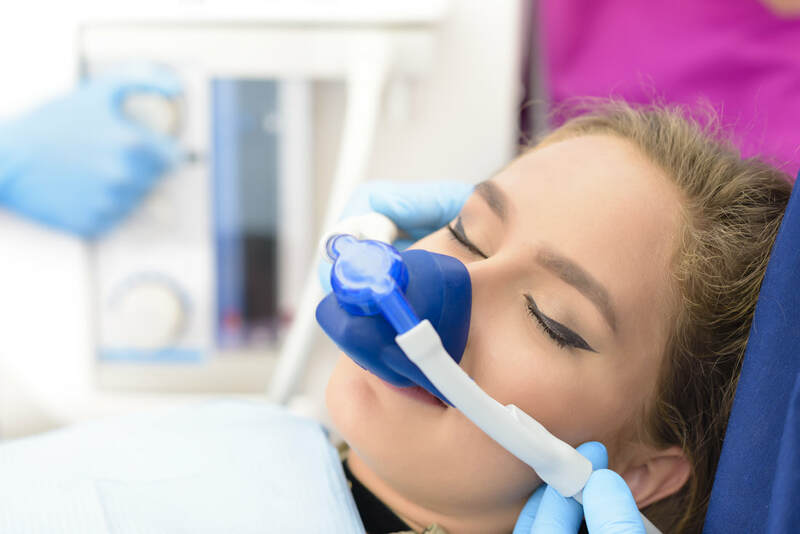 While all the doctors at House Family Dentistry can provide Nitrous Oxide, or "Laughing Gas", Dr. Brittany is the only doctor that performs Conscious Sedation. She is certified not only in Basic Life Support, but also Pediatric Advanced Life Support, as well as Advanced Cardiac Life Support, and supports her training with Continuing Education regarding safe conscious sedation. Our office is equipped to sedate children 5 years old and up with state of the art monitoring equipment including an EKG with capnography, precordial stethoscope, and all emergency equipment should an incident occur. While undergoing Conscious Sedation, children and adults are able to respond and speak, but are very relaxed and typically have no memory of the appointment. Children and adults must pass a clinical evaluation before sedation and may not be on any medications that have a sedative effect, as well as be escorted to and from the appointment. During sedation appointments, we have multiple assistants as well as our doctor monitoring and evaluating for breathing, heart rate, blood pressure, and responsiveness. It is critical that the doctor is able to accurately monitor the patient closely during these appointments, and for this reason we do not allow guests in the treatment area during sedation appointments. In addition to Oral Conscious Sedation, Dr. Ike House is certified in Advanced Cardiac Life Support and has certification to allow a Nurse Anesthetist come into the office and provide IV sedation - a deeper sedation option. Thinking that sedation is for you? Call and make an evaluation appointment! We will be able to tell you which sedation option is best, and safest, for you!